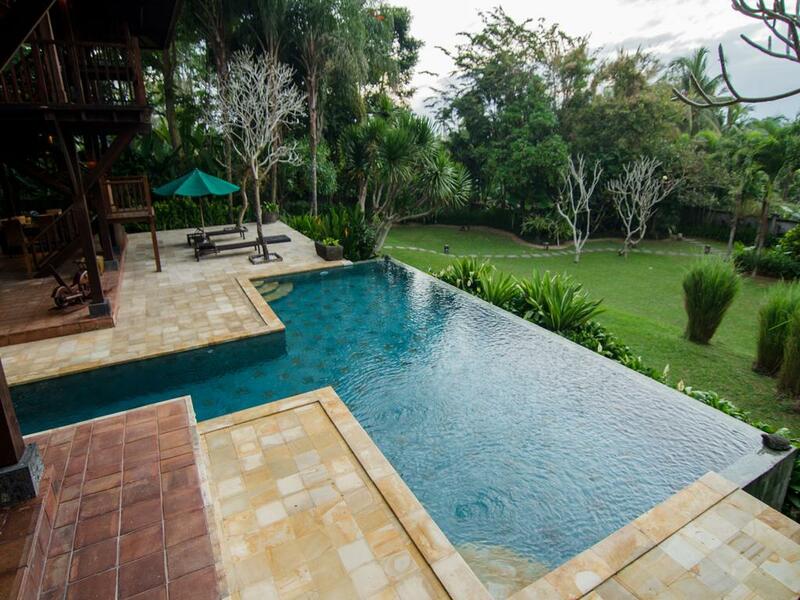 Nestled in the lush rainforest of Ubud, Bali. Two handcrafted structures face a spectacular mountain view, with an open air design that invites the outside in. 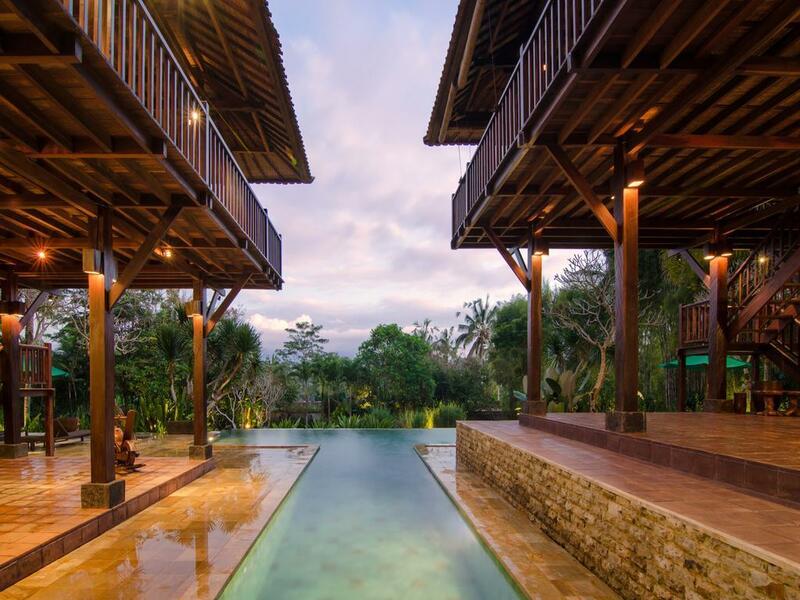 Incorporating architectural elements inspired by the homes of Javanese nobility, this villa is the ultimate escapists hideaway inviting you to commune with nature and live like a king. Disturbed by nothing but the sound of birds chirping and winds wafting through the trees. The saying ‘hideaway' perfectly describes the environment, and the facilities cater to everything you need for "a long holiday" in Bali. 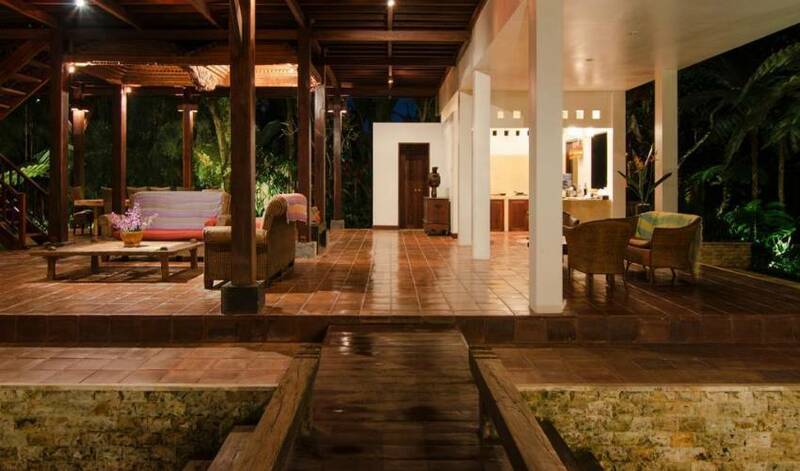 The villa is for guests seeking an elegant retreat with modern amenities in Ubud area. 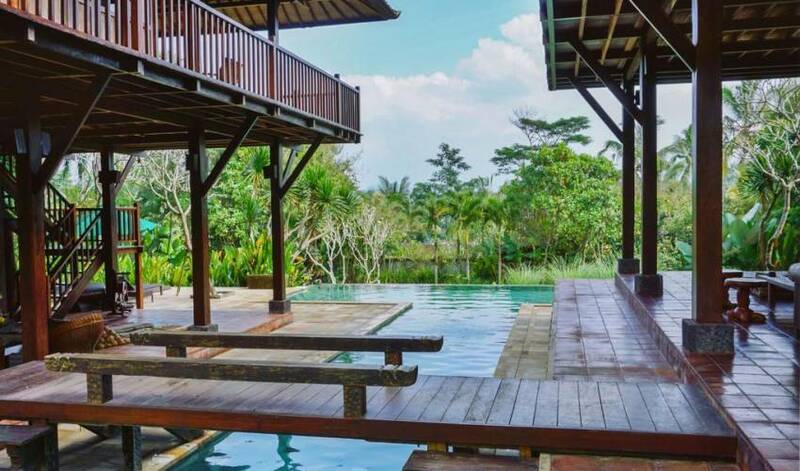 Located in Payangan village, a leisurely 20 minute drive from Ubud, home to Bali’s finest art and culture, and, only 75 minutes from the international airport, the villa offers complete peace and privacy yet is very accessible to Bali’s premium entertainment. 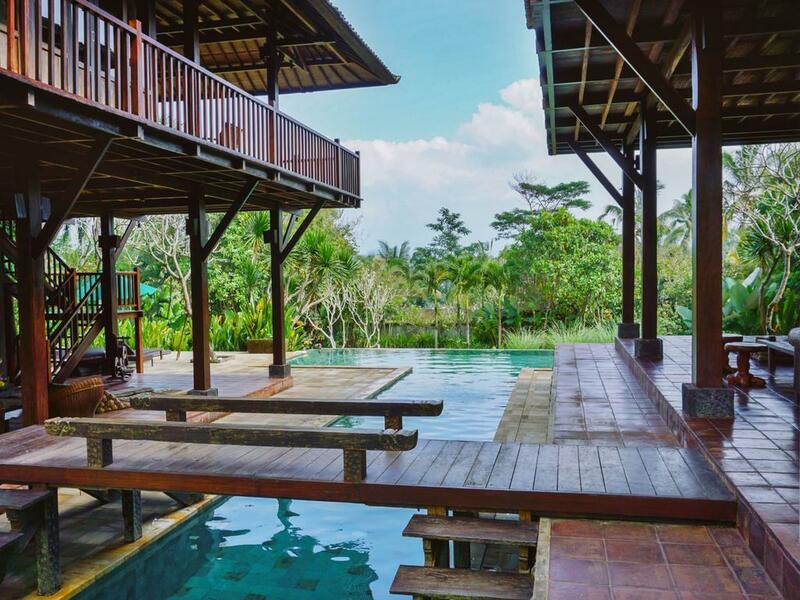 The houses, which are over 100 years old, were transported from Java and reconstructed on former rice paddies on the edge of a small village. The architectural style reflects the elements of nature to create a sense of well-being, balance and stunning aesthetics for the enhancement of any mood. 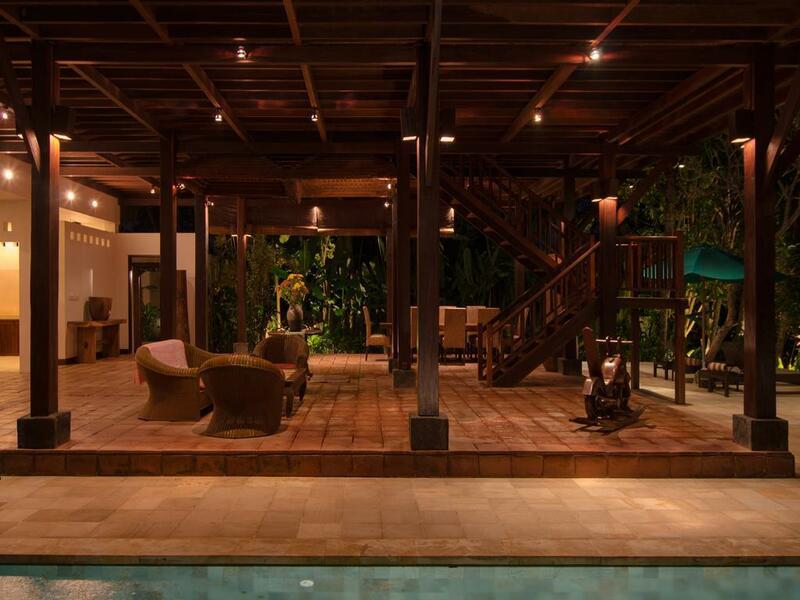 It also captures the essence and joy of indoor and outdoor living in a tropical climate, bringing nature to your door. 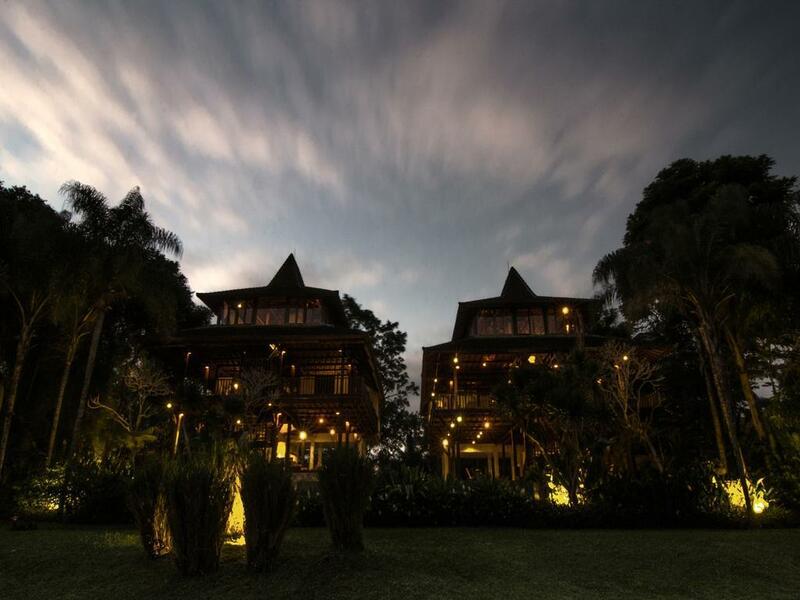 The villa’s design comprises two magnificent century old wooden houses reconstructed in a quiet rural setting. 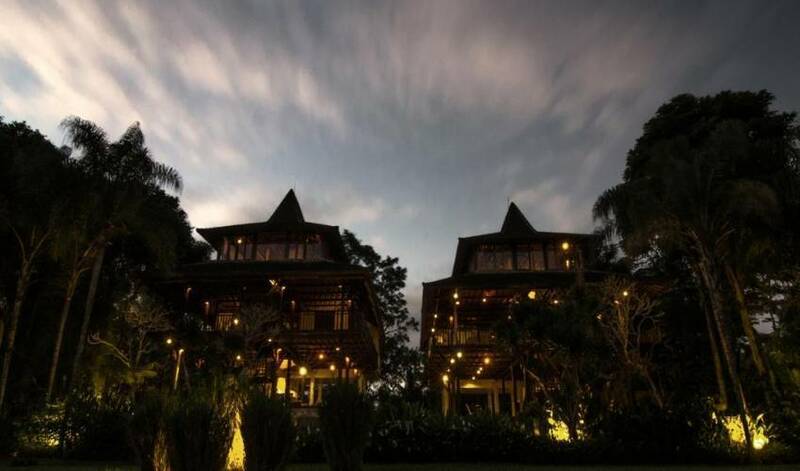 The houses, which have been updated with modern baths and electrical appliances, are anchored by solid pillars of ironwood and finished in teak and other tropical woods. Separated by a stunning 30 meter swimming pool, with expansive gardens, and open sitting areas on the first and second floors, the house provide wonderful spaces for outdoor living. 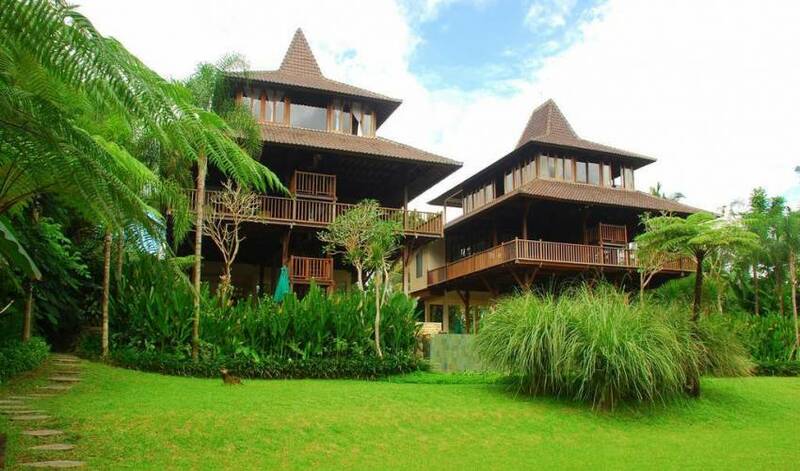 One enters Villa Atas Awan through the outer courtyard and climbing the stairs through double Balinese doors, a path leads left to Villa One and right to Villa Two. 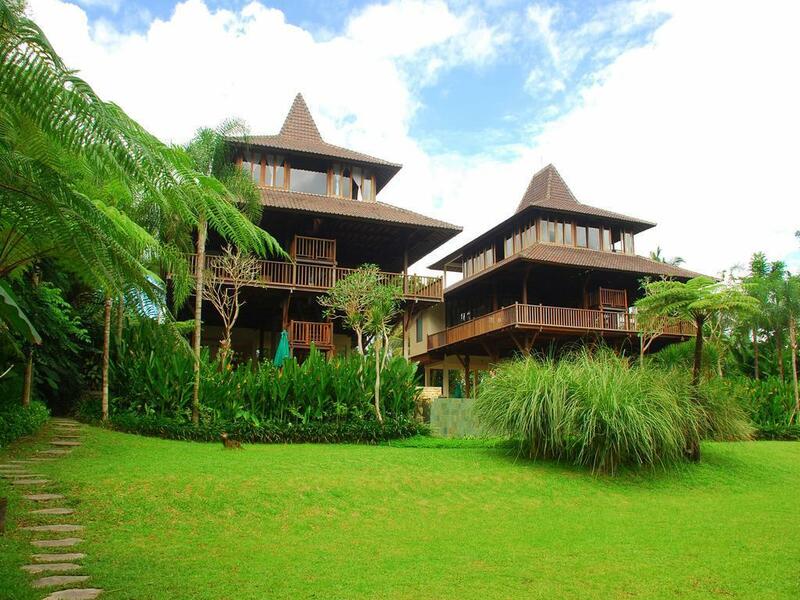 Villa One comfortably sleeps six in queen size beds in three bedrooms. The guest bedrooms all have large bath tubs and showers. 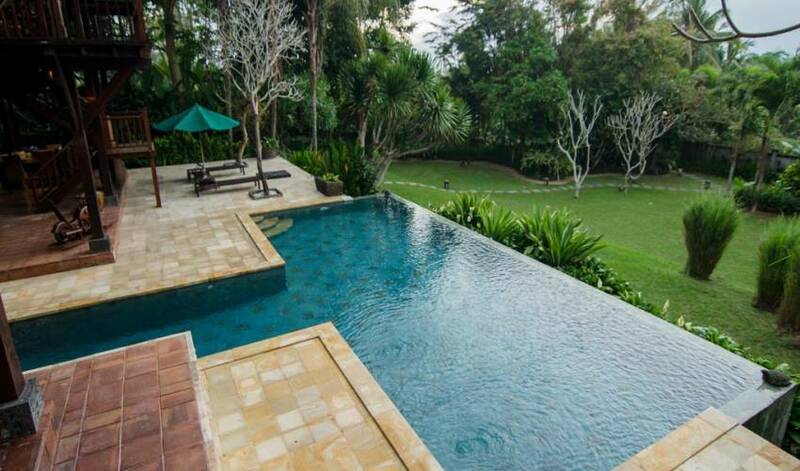 This villa has a one of kind infinity bath tub in rear of the house on the second floor with magnificent views of a river gorge as well as rice paddies in the distance. The second floor suites in both houses have sliding glass panels that open to beautiful vistas of mountains and rice paddies. 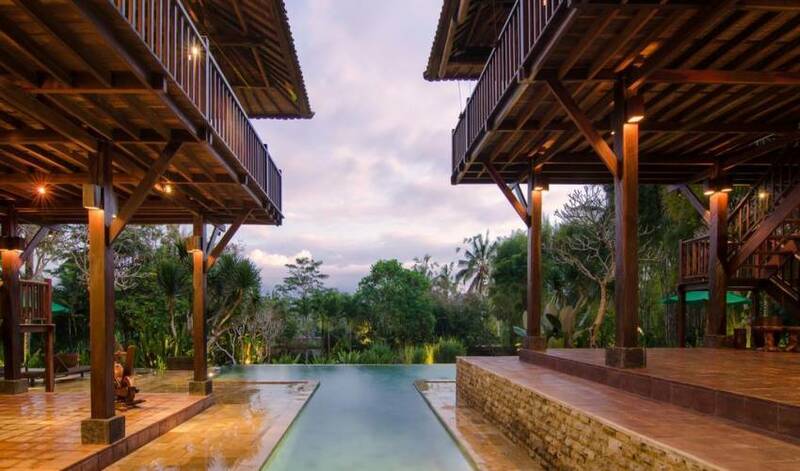 Villa Two sleeps eight in two twin bedded rooms, a guest room with a king sized bed and the master bedroom with a beautiful hand built Balinese bed. 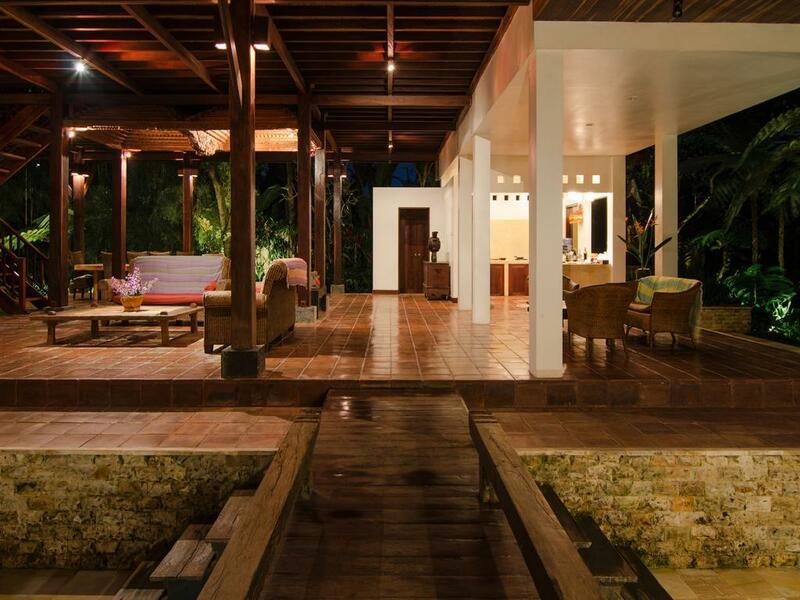 The second floor of Villa Two has two large baths with both bath tubs and showers for the three second floor guest bedrooms. 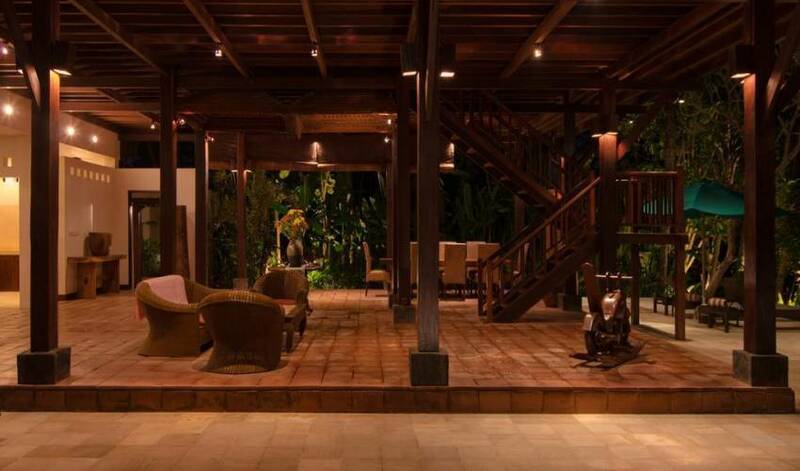 Both of the villas have wonderful outdoor decks with comfortable sitting arrangements that are perfect for enjoying the tropical breezes that keep the villa so comfortable.